HCP is trading at a discount to only 3.) above. The stock is trading at a 9.7% discount to its calculated fair value of $49.04. HCP earned a Star in this section since it is trading at a fair value. HCP earned one Star in this section for 3.) above. HCP earned a Star for having an acceptable score in at least two of the four Key Metrics measured. The company has paid a cash dividend to shareholders every year since 1985 and has increased its dividend payments for 29 consecutive years. HCP earned a Star in this section for its NPV MMA Diff. of the $1,100. This amount is in excess of the $600 target I look for in a stock that has increased dividends as long as HCP has. The stock's current yield of 4.92% exceeds the 2.98% estimated 20-year average MMA rate. Memberships and Peers: HCP is a member of the S&P 500, a Dividend Aristocrat, a member of the Broad Dividend Achievers™ Index and a Dividend Champion. The company's peer group includes: Health Care REIT, Inc. (HCN) with a 4.2% yield, Omega Healthcare Investors Inc. (OHI) with a 5.5% yield and National Health Investors Inc. (NHI) with a 4.6% yield. Using my D4L-PreScreen.xls model, I determined the share price would need to increase to $55.51 before HCP's NPV MMA Differential decreased to the $600 minimum that I look for in a stock with 29 years of consecutive dividend increases. At that price the stock would yield 3.9%. Resetting the D4L-PreScreen.xls model and solving for the dividend growth rate needed to generate the target $500 NPV MMA Differential, the calculated rate is 0.2%. This dividend growth rate is lower than the 2.7% used in this analysis, thus providing a margin of safety. 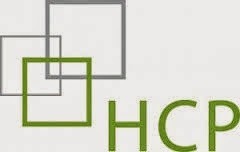 HCP has a risk rating of 1.25 which classifies it as a Low risk stock. HCP's a real estate investment trust (REIT) with a diversified portfolio of health care-related properties. In the long run, HCP should benefit from increased healthcare spending and an aging population. In addition, the company has the potential to continue growth through strategic acquisitions, tie-ups and other investments, in spite of intense competition within the industry. In early November, the REIT announced third-quarter 2014 adjusted funds from operations (FFO) per share of $0.75, down $0.04 from last year's third-quarter. Despite a rise in revenues, the lower FFO was a result of higher expenses. Concurrent with its third-quarter earnings release, HCP raised its full-year FFO 2014 outlook to $2.98 – $3.04 per share. This reflects an increase from the prior range of $2.97 – $3.03 per share for adjusted FFO. The company's debt to total capital of 46% is slightly above my maximum of 45%. Its free cash flow payout of 199% is well above my desired level and is high even for a REIT considering they are required to payout 90% of their earnings as a dividends. The stock is currently trading at a 9.7% discount to my calculated fair value of $49.04. I plan to keep an eye on the free cash flow payout and look for opportunities to add to my position in HCP. Full Disclosure: At the time of this writing, I was long in HCP (2.5% of my Dividend Growth Portfolio). See a list of all my dividend growth holdings here.